This entry was posted on September 24, 2013 by Jessica Anderson. Fall sports are in full swing. 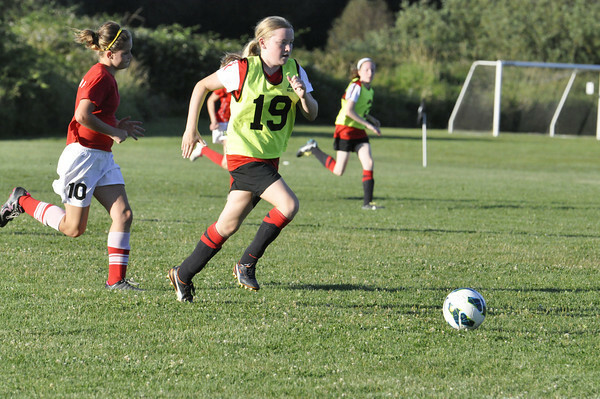 As a parent, what can you do to help keep your child injury-free this sports season? Below are some ideas from Swedish Hospital in Seattle. Keep your student athlete ready for action by following the tips below! Acute Sprains and Broken Bones: Breaking a bone is more a matter of chance than fitness level. If your child breaks a bone, the most important thing is to make sure it heals correctly with the help of a health professional. That will help prevent it from happening again. Overuse Injuries: These types of injuries, including muscle or tendon strain, often happens when kids aren't in shape and first begin their season. They overuse an area of the body by doing repetitive motions. Having your child get in shape before the season starts can help prevent these types of injuries. Injury: If pain lasts more than a week, a doctor's visit is the best course of action. Hydrate. Drinking water replaces liquid lost, minimizes cramps, and keeps kids healthy. Hydration is important not only during the event, but also earlier in the day before the practice or game even begins! Stay Active. Keep in shape over the summer, or step up your activity level before the season starts to prevent overuse injuries. Maintain proper conditioning throughout the year. Cross training can help with this, as it contains cardio, strength training and flexibility. Pre-Season Physical. Schedule a check up with your doctor to make sure your student is healthy and able to participate in sports. My daughter's middle school requires this for participation in any school sports. Equipment. Make sure the child has the proper equipment with the correct fit (such as pads, helmet, shoes, mouth guard, etc.). Remember kids tend to grow a lot over the summer, and last season's equipment might not fit properly. Warm Up. 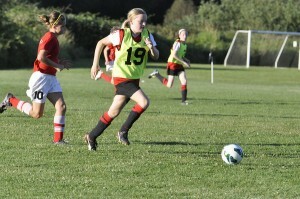 Schedule adequate time to warm up before every practice and game. This includes stretching to increase flexibility and cardio to increase blood flow to the muscles. Cool Down. After the practice or game, have the students cool down and stretch before leaving. Wishing you a fun and safe fall sports season!